Princess: Help me, Fairy Godmother! A pool party is coming up and I’m feeling, well…squishy. Do you have a spell to make me trim? FG: Honey, you don’t need any of that bibbity-bobbity stuff. Just do a little Z.E.N. Cleanse and you’ll be back to your sparkly bikini ready body in no time. Choose from a 3-day or 5-day cleanse super-charged with nutrients for a flat belly and glowing skin. They even have two days of vegan cuisine you can add before and/or after your cleanse for a full nine-day turnaround. All the juices are fresh pressed, organic, raw (unheated) vegan elixirs. They’ll even help reinforce your body, build up your blood, wash away toxins and make you feel incredible. 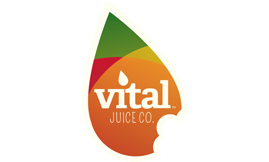 Vital Juice’s tester lost seven pounds in nine days! Princess: Wow! So if I add food, what’s that like? FG: You’ll get fresh, nutritious, calorie-counted meals to ease you into the cleanse for two days. (You can even opt for gluten-free and dairy-free choices.) Then, you’ll receive six different juices and shakes per day for your cleanse days. For example, “Serenity” is a digestive sweeper with kale, cucumber, green apple, blueberry and lemon. “Glow” packs cucumber, celery, fennel, dandelion greens and apple. My favorite is the “Maca Naka” protein shake with energizing maca, cocoa nibs, almond milk, coconut water, hemp seeds and agave. Then, two more days of vegan cuisine will help ease you back into solid, healthy food and…voilà! Princess: Wow. Who needs magic? All I need now is the perfect swimsuit! FG: Good luck with that.